The Seguin Area Chamber of Commerce is an association of nearly 700 businesses and professionals who seek to improve and maintain the economic well being and quality of life in our community. Through this association, business people like you invest time, talents and financial support to implement our action plan. Our membership programs and benefits are approved by a volunteer Board of Directors, coordinated by the chamber staff and accomplished by the volunteer work of hundreds of professional people who see great return on their membership investment. The Chamber of Commerce is not a department of the city, county, state or federal government and is not a civic club or professional society. The Chamber of Commerce is not a social service, welfare or charitable organization, and the Chamber is not a private advertising, publicity or public relations agency. So, what IS the Chamber of Commerce? The Seguin Area Chamber of Commerce is a private, not-for-profit 501(c)6 voluntary organization that unites businesses and business people to help its members become more profitable, thereby expanding the economy of the area. Membership in the Chamber allows for your active participation in the committees who accomplish the work of the chamber. The chamber also provides ample opportunities for business promotion, leadership development and community development allowing for the growth and vitality of your business. The Chamber belongs to you! Membership in the Chamber is open to everyone. You may contact our office at 830-379-6382 or click here to begin the registration process. Members can save BIG with our Office Depot Savings Program. Significant savings you have to see for yourself! Only when you’re part of our program. 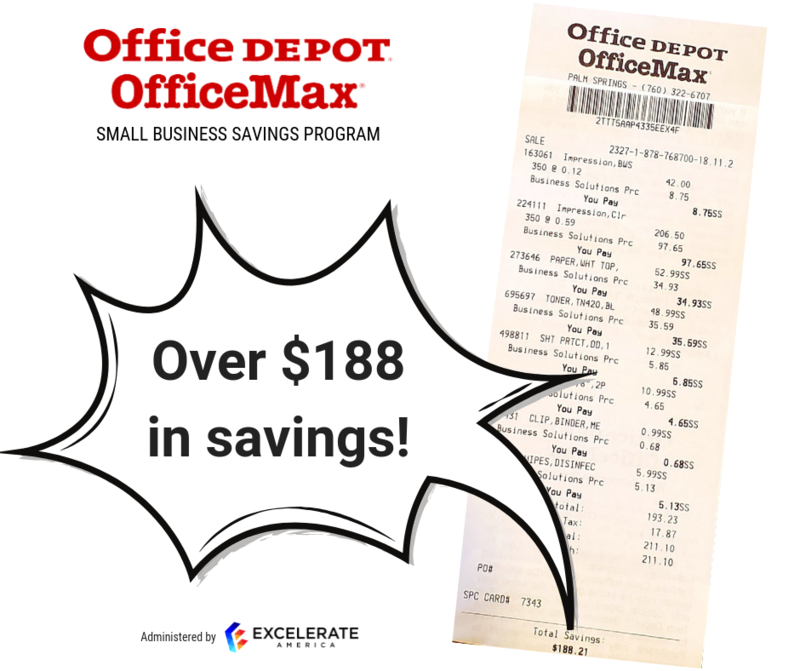 We get asked a lot about the savings from our Office Depot program. So we decided to show you firsthand how BIG the savings really are. Everyone who’s part of our program can enjoy these amazing savings too! There are discounts to be had on everything from toner and paper, to color copies and scissors, and so much more. Experience the savings for yourself! In most cases, the savings from the program will more than cover your cost of membership as well. If you are not yet using this member benefit join now. What are you waiting for?